1Place all ingredients in a shaker with ice and shake vigorously. For those of you who feel that showing the world just how huge of a Game of Thrones fan you are, you might want to throw a viewing party. In that case, you'll need a perfect theme-based libation. Here is a recipe that's simple to mix up, very easily, and serve to your guests. On the other hand, for those of you who just enjoy delicious, botanical-themed cocktails, this one's a winner. We found this on a blog post by Paste Magazine. You'll find the original recipe is very similar. 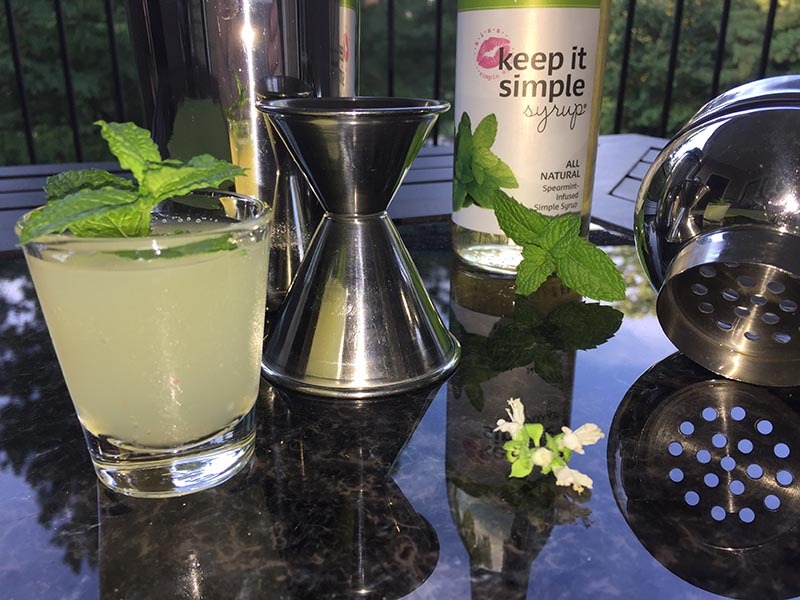 Our twist is simply replacing the simple syrup and fresh mint leaves with our Spearmint syrup.